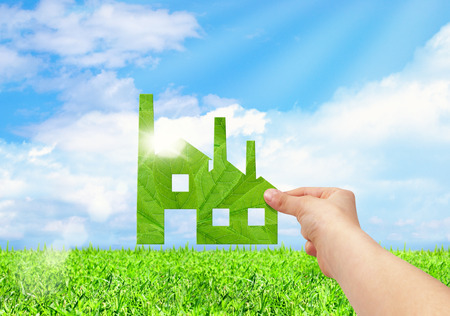 Being environmentally responsible in manufacturing can be interpreted in more than one way. On one hand, a manufacturer can claim to be “green” because its products and operations meet all the minimum requirements established by various authorities. But we think the commitment to preserve and protect the environment – our one and only environment – must go deeper than that. The use of chemicals in manufacturing is one area that has drawn much attention in recent years. Fortunately for manufacturers seeking to ensure the chemical substances used in their products and processes are both safe and environmentally benign, the European Union has set the bar very high in developing the Restriction of Hazardous Substances (RoHS) and Regulation on Registration, Evaluation, Authorization and Restriction of Chemicals (REACh) requirements. The Restriction of Hazardous Substances (RoHS) directive prohibits the use of six specific substances, plus four types of phthalates, that until recently were commonly used in other electrical equipment. However, RoHS requirements differentiate between electrical and nonelectrical equipment, and manufacturers can take advantage of numerous exemptions. For example, small amounts of lead are acceptable in specific applications, even though lead is one of the six hazardous substances singled out by RoHS. We view the current RoHS requirements not as minimum requirements, but rather as leading the way for the world’s future collective health and welfare. Therefore, our goal is to not include any substance identified by RoHS as being hazardous in any of our products. That means we do not take advantage of the additional allowances offered for nonelectrical equipment and, insofar as possible, we want to avoid exemptions. Even though RoHS compliance is absolutely required only for products made or sold in the European Union, we recognize that RoHS provides the strictest environmental regulation of this type in the world. Therefore, we apply this same approach to all of our products worldwide, which means everyone benefits. With the passage of the Regulation on Registration, Evaluation, Authorisation and Restriction of Chemicals (REACh) in 2007, manufacturers became directly responsible for guarding against the effects of chemical use. This covers both chemical ingredients and chemicals used in the manufacturing process, such as for cleaning or rinsing, but also chemicals in manufactured articles. Of the 14,000 chemicals now registered in the REACh database, 169 already are considered “substances of very high concern” (SVHC), and that list continues to grow. Again, we view our compliance with REACh requirements as more than just minimally acceptable behavior. For example, the program is primarily based on declarations made by each manufacturer. As such, it also permits inclusion of SVHC in products, to some extent, as long as its inclusion is noted in the product declarations. Rather than take advantage of this, we decided to go beyond that requirement as well. As soon as a “substance of concern” comes under official consideration as a possible SVHC, we trace the potential presence. As soon as it is submitted to specific authorization, we substitute that chemical anywhere it has been used as soon as possible, and we ban its further use in any of our products and processes. As with the RoHS requirements, this is also something we do on a global basis. Of course, there are many other material choices to be made in manufacturing beyond those specifically covered by RoHS and REACh, and environmentally friendly material selection is another area of concern. For many years we have tried to make material selection decisions in a similarly environmentally friendly way, remembering that the local environment is also important. For example, many of our products have fire protection requirements. A decade or more ago, we consciously decided to avoid the use of toxic flame retardants in our products, which benefits all involved. We also design our products to incorporate recycled and biomass materials – such as plastics made from biomass rather than from oil – as much as possible. That’s good for the environment, but we are going even further in a move designed to improve personnel safety: Instead of thermosetting materials, we’re moving toward a wider use of thermoplastic materials, which are totally inert. This will mean workers will have far less exposure to potentially hazardous reactive chemistry. As an example, some medium voltage parts that historically were made using thermoset polyester plastics are now manufactured in high-performance thermoplastic. Our Green Premium™ ecolabel program, launched in 2012, provides an easy and convenient way for customers and end users to quickly confirm the level of each of our products’ overall environmental compliance. For more information, visit our site. So pleased that we have regulations to help protect our environment. It’s always good to be environmentally conscious! Being Eco friendly is more like not abusing by the environment. Your program is good! Thank you Pierre for creating this Article and spreading awareness atleast for whom who dont know about green premium and sustainability program. Nicely written .. Crisp and Clear. There are many benefits to “going green.” Not only are you helping to preserve our environment, it’s a way to stand out from the competition in the eyes of environmentally conscious consumers.